Shivank Vashisht's five-wicket haul helped Delhi finish with three points after a draw with Andhra Pradesh in the Ranji Trophy. New Delhi: Debutant off-spinner Shivank Vashisht picked up a five-wicket haul as Delhi ended with three points after a draw with Andhra in the Ranji Trophy here Sunday, a game that marked the end of Gautam Gambhir's illustrious career. Delhi, resuming the day at 409 for seven, went on to score 433 in response to Andhra's 390 all out for the all-important first innings lead. Gambhir made a mark in his farewell game with a solid 112. However, he did not come out to bat on the final day after Delhi dismissed Andhra for 130 all out in 59 overs. Set an 88-run target, Delhi managed 41 for two in five overs with Anuj Rawat dismissed on what turned out to be the final ball of the day. Vashisht did the maximum damage for Delhi and ended with figures of 5 for 49 in 20 overs. Left-arm spinner Vikash Mishra took three wickets to take his match tally to five. With a third draw in four matches, Delhi are yet to taste victory this season and face a huge task of making the knock-outs. They are placed second last in Group B, only ahead of Andhra. Delhi have been below-par but they have also been hit by the absence of lead pacer Navdeep Saini, who is in New Zealand with the India A squad. Jharkhand bowlers held their nerves as they guided their team to a nail-biting 2-run win over Odisha in the Elite Group C Ranji Trophy game here Sunday. Subransu Senapati played a valiant unbeaten knock of 157 off 321 balls for the visitors, farming the strike beautifully in the company of the last two batsmen, but failed to take his team past the finishing line. Chasing a stiff target of 260, Odisha were reeling at 8-154 when Senapati stitched two crucial partnerships with number 10 Basant Mohanty (4 off 38 balls) and number 11 Dhiraj Singh (7 off 43 balls) to take his side on the cusp of a memorable win. But experienced pacer Varun Aaron (2-57) cleaned up Dhiraj Singh to dash off Odisha's hopes as Jharkhand registered a heart-stopping win after conceding the first innings lead at the JSCA International Stadium. For the hosts, Anukul Roy (4-51) was the main wicket- taker who was ably supported by Aaron, Rahul Shukla (2-43), Ashish Kumar (1-36) and Rahul Prasad (1-64). Senapati held the fort from one end but fell short of partners. But he was adjourned as the Man of the Match. The close match brought back memories of the unforgettable 1991-92 final at the Wankhede Stadium in Mumbai when Kapil Dev's Haryana managed victory by a similar margin against Mumbai to lift the Ranji Trophy. Meanwhile, at Agartala, Haryana clinched six points as they defeated hosts Tripura by 55 runs. At Porvorim, the Goa versus Services match ended in a tame draw with the hosts grabbing 3 points on the basis of their first innings lead. Brief scores: At Ranchi:Jharkhand 172 and 288 (Saurabh Tiwari 132; Rajesh Mohanty 4-87) beat Odisha 201 and 257 (Subransu Senapati 157 not out; Anukul Roy 4-51, Rahul Shukla 2-43)by 2 runs. Jharkhand 6 points, Odisha 0 points. At Agartala: Haryana 292 and 119 (H J Rana 64; A S Sarkar 3-15) beat Tripura 250 and 106 (Pratyush Singh 23; A R Rana 4-37, Tinu Kundu 3-19) by 55 runs. 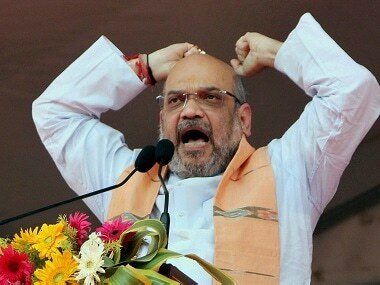 Haryana 6 points , Tripura 0 points. At Porvorim: Services 184 and 332 (Rahul Singh Gahlaut 111, Rajat Paliwal 94; Amit Verma 5-39) drew with Goa 259 and 67/2 (Amit Verma 23 not out). Goa 3 points, Services 1 point. Uttarakhand pace sensation Deepak Dhapola returned a match haul of 11 wickets to help his side beat Meghalaya by eight wickets and secure a fifth win on the trot in the Ranji Trophy Plate Group here Sunday. Dhapola, who bagged a six-for in the first innings including a hat-trick, bagged 5/59 for a match haul of 11/111, as Meghalaya were bundled out for 230 in the final session. Set a target of 51 under fading lights, Uttarakhand knocked it off in 6.1 overs, courtesy Vaibhav Singh Panwar's 12-ball 32 not out (6x4, 1x6). Uttarakhand sit pretty on top of the table with 33 points, with a huge 14-point lead over second placed Meghalaya. Such has been the dominance by the Rajat Bhatia-led side that they are the only side in this season's Ranji Trophy yet to lose or draw a match. The skipper led from the front with three back-to-back centuries, which included a double. But the biggest find for Uttarakhand has been the 28-year-old pacer Dhapola who leads the charts with 37 wickets at a stunning average of 9.89. In Dehradun: Meghalaya 311 and 230; 66.2 overs (Gurinder Singh 104, Yogesh Nagar 57; Deepak Dhopola 5/59). Uttarakhand 491/4 declared and 53/2; 6.1 overs. Uttarakhand win by eight wickets. Points Uttarakhand 6. Meghalaya 0. In Wayanad: Puducherry 647/8 declared. Sikkim 247 and following on 241; 76 overs (Milind Kumar 77 not out, Ashish Thapa 52; Abhishek Nayar 5/76, Pankaj Singh 3/40). Puducherry win by an innings and 159 runs. Points Puducherry 7, Sikkim 0. Hosts Maharashtra took three points on the basis of their first innings lead after their Elite Group A Ranji Trophy game against Mumbai ended in a draw on Sunday. Maharashtra, who had taken a first innings lead of 79, were bundled out for 254 in their second essay with skipper Rahul Tripathi top scoring with 76 at the MCA International Stadium at Gahunje on the outskirts of the city. For Mumbai , Shivam Dubey (3-25) and Shivam Malhotra (3-41) took three wickets each. 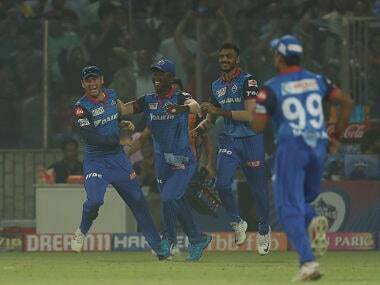 Mumbai, who are yet to register a single win, were set an improbable 334-run target and ended up at 135 for 5 when the match was declared drawn. Experienced Aditya Tare remained unbeaten on 52 in company of Shivam Dubey (8 not out). Maharashtra opener Swapnil Gugale, who had hit a century in the first innings, was adjourned as the Man of the Match. Meanwhile at Valsad, the Gujarat versus Railways game ended in a tame draw with the visitors grabbing 3 points on the basis of the first innings lead. Railways wicketkeeper Nitin Bhille, who had scored 116 in their first essay was adjudged as the Man of the Match. 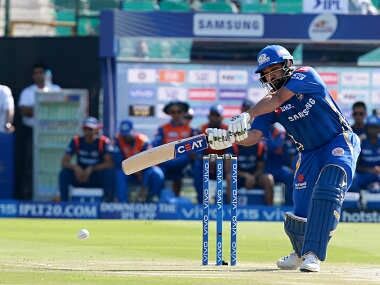 Brief Scores: At Pune: Maharashtra 352 and 254 (Rahul Tripathi 76, Shivam Dubey 3-25) drew with Mumbai 273 and 135 for 5 (Aditya Tare 52 not out) Maharashtra 3 points, Mumbai 1 point. At Valsad: Gujarat 367 and 191/7 (Priyank Panchal 58, Kathan Patel 50, Harsh Tyagi 4-46) drew with Railways 547/9 declared. Railways 3 points, Gujarat 1 point. 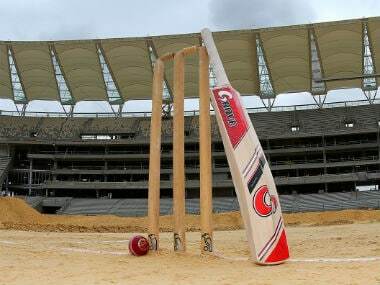 Tamil Nadu registered their first win of the season, beating Kerala by 151 runs Sunday in a Ranji Trophy Elite Group 'B' match at the M A Chidambaram stadium here. 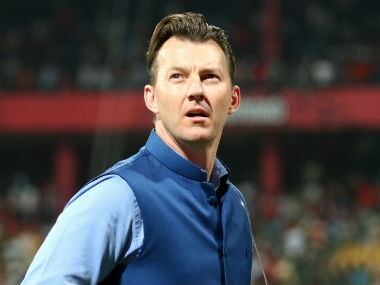 The victory and six points renewed Tamil Nadu's hopes after the team had logged only five points from four matches prior to the Kerala game. They are now at fifth place in the standings with 11 points. Kerala are second in the group on 13 points behind Madhya Pradesh (18). 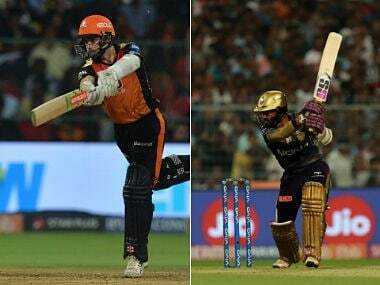 Needing 369 to win their third match, Kerala were bowled out for 217 despite half-centuries from Sanju Samson (91) and Sijomon Joseph (55). 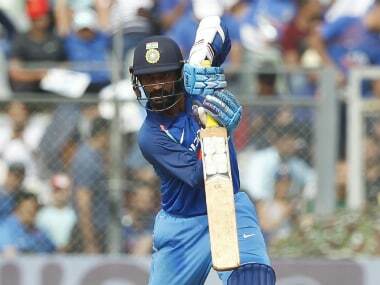 The two added 93 runs for the third wicket to defy the Tamil Nadu bowlers, who were on the lookout for breakthroughs. Resuming at 27 for 1 this morning, Kerala lost K B Arun Karthick for 33 to a catch by N Jagadeesan off Sai Kishore's bowling. The partnership between Samson and Sijomon Joseph, who showed great resolve, raised Kerala's hopes of pulling off a draw. Left-arm medium-pacer T Natarajan, who was the star for the home side in the second innings picking up five wickets, broke through by getting Joseph leg-before. None of the other batsmen showed any resistance as Natarajan triggered the collapse and sealed an important and much-needed win for Tamil Nadu. Tamil Nadu 268 and 252 for 7 declared beat Kerala 152 and 217 in 89 overs (Sijomon Joseph 55, Sanju Samson 91; T Natarajan 5/41) by 151 runs. At Mohali: Himachal Pradesh 390 beat Punjab 84 and 199 all out (Gurvinder Singh 4/44) by an innings and 107 runs.